Graduates of the 2017 Community Builders of Greene County leadership program were honored at a ceremony held at The Foundation Room of the Community Foundation of Greene County on December 11, 2017.  Fourteen individuals received the Community Builders Nonprofit Leadership certification for completing the course on management and leadership of nonprofit organizations. Each graduate received a framed certificate, a pin, a chocolate hammer and a copy of How Effective Nonprofits Work. Jack Burt – Job Developer, Southwest Training Services, Inc.
Jeanine Henry – Board Member, Greene County Industrial Developments, Inc. The 2017 Community Builder of the Year Award was presented to Jack Burt of Southwest Training, Inc. The award, which is based on nominations by class members, recognizes the participant who displays the characteristics of a community builder throughout the program. Community Builders provides training for persons interested in volunteering their time and talents to support Greene County nonprofit organizations. The nonprofit leadership program explores leadership, nonprofit governance and boards of directors, financial management, communication and team work, strategic planning, public relations, grant writing, fundraising and volunteer engagement. This series is geared to helping citizens become better volunteers with non-profit organizations in the community, whether it be through activities such as serving on non-profit boards, volunteering on fundraising committees, or providing volunteer services. Instructors for the program are local and regional experts in each of the topics: Introduction to Leadership was led by Capie Hubbard, retired Deputy Director, Civilian Human Resources, USMC, and Tracy Lowrance, Ed.D, Engagement Advisor, Press Ganey; Financial Management for Boards was led by Thomas G. Milinovich, CPA, CFP, Milinovich & Company; Strategic Planning was led by Bruce Decker, Founder and Principal Partner of Collective Impact; Introduction to Board Governance was led by Darlene Bigler, CEO of Blueprints; Nonprofit Board Panel was led by board members Jeff McCracken, Human Services Advisory Board, Teresa Roberts, 2nd Sam 9, and Deborah Takach, Blueprints; Marketing Your Success was led by Pam Cunningham, adjunct instructor, Waynesburg University; Engaging Volunteers was led by Nancy Riggle, Southwestern Pennsylvania Area Agency on Aging, Greene County Coordinator; and Developing Nonprofit Resources was led by Bettie Stammerjohn, Executive Director of the Community Foundation of Greene County..
Local leaders serving on the Community Builders steering committee in 2017 were Karen Bennett, Director, Greene County Department of Human Services; Darlene Bigler, Executive Director, Blueprints; Kim Grimes, Vice President, CFGC board; Thelma Szarell, Secretary CFGC Board; Barbara Wise, Executive Director, Greene County United Way; Bill Monahan, Monongahela Township Supervisor; Teresa Roberts, 2nd Sam 9 and Don Chappel, Greene Alliance for Development. The 2018 series of Community Builders of Greene County will begin Monday, August 27, 2018. The program will meet every other Monday through December 3, 2018 from 5:30-8:30 each session. Registration will open in June. For more information on Community Builders of Greene County, or to be placed on the list, call 724-627-2010, or email cfgcpa@gmail.com. The Community Foundation of Greene County is a nonprofit 501(c)3 organization that develops, manages and distributes funds for charitable purposes in the community. The official registration and financial information of the Community Foundation Greene County may be obtained from the Pennsylvania Department of State by calling toll-free, within Pennsylvania, 1-800-732-0999. FLORIDA CHARITABLE REGISTRATION #CH54865. A COPY OF THE OFFICIAL REGISTRATION AND FINANCIAL INFORMATION MAY BE OBTAINED FROM THE DIVISION OF CONSUMER SERVICES BY CALLING TOLL-FREE (800-435-7352) WITHIN THE STATE. REGISTRATION DOES NOT IMPLY ENDORSEMENT, APPROVAL OR RECOMMENDATIONBY THE STATE. © by Community Foundation of Greene County. All rights reserved. | Site design by The Bayer Center for Nonprofit Mgmt at RMU.